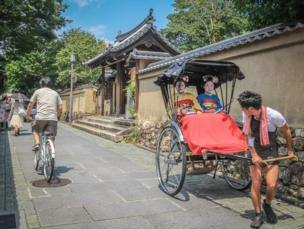 Readers' photographs on the theme of Japan. We asked you to send in your pictures of Japan as part of our Japan Direct season of programmes and articles which is running in October. 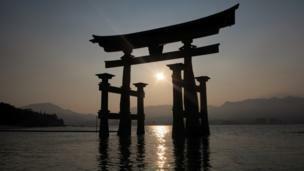 We begin our gallery of your photographs with one by Karina Felix, who took this image of the great Torii of Itsukushima Shrine in Miyajima. 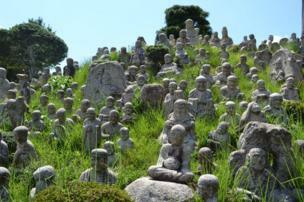 Vanessa Abel: "Gohyaku Rakan in Komono, Mie Prefecture, where you can see 500 faces of Buddha on a small hill. Can you spot your own face in the crowd?" Electra K Vasileiadou: "Okinawa, Japan's southernmost prefecture, stands apart from the mainland both linguistically and culturally. 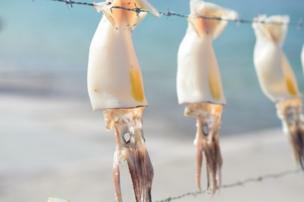 More Mediterranean than Japanese, this scene was captured near the fish market of the small island Ojima, off the main island." Robin Teuwens: "This man exuded an air of patience and calm. 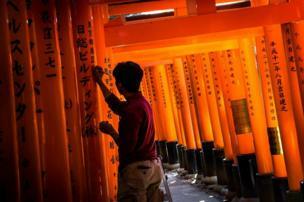 It was nice to see that the Fushimi Inari shrine in Kyoto is the result of manual craftsmanship." Michelle Lin: "My friends and I went to Dotonbori, the famed food and entertainment district in Osaka, Japan at night. 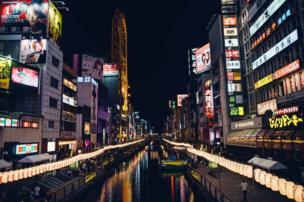 This is a shot of Dotonbori canal and the surrounding buildings from Ebisu Bridge." 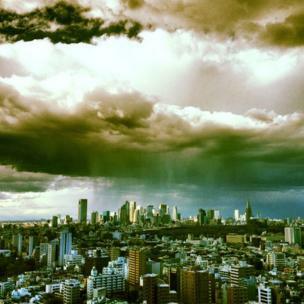 Keith McPhalen: "A view of the Shinjuku district of Tokyo in the rain." Leo Bhaskara: "This is a picture of traditional dancers in Koenji Awa Odori Festival in Tokyo. 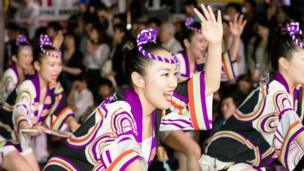 It is one of the biggest dance festivals in Japan and attracts more than a million visitors every year." 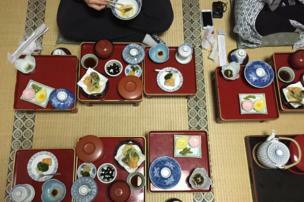 Michelle Wiles: "Vegan food at Buddhist Mount Koya." Sandra Bantwell: "Young Japanese girls dressed up as Geishas in Kyoto-shi." 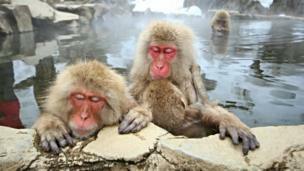 Katïe Grayson: "Do not disturb, at the Jigokudani Snow Monkey Park, Yamanouchi-machi." 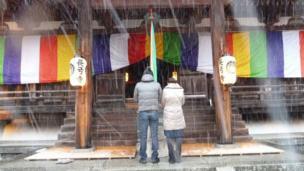 Hellen Honda Collinson: "A young couple at New Year prayers in Chokyuji Temple, Ikoma, Nara." Nikos Christidis: "A view of Tokyo from Roppongi Hills on a clear autumn night. 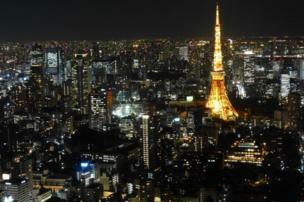 One cannot fail to notice the resemblance between the glittering gold Tokyo Tower and its Parisian counterpart." 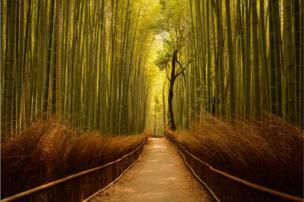 Eva R Lima: "This is a bamboo forest near Kyoto in Japan. It is magical to stand there to the sound of the bamboos shaking in the wind, with the peace and quietness of the early morning hours." Nicholas Busch: "This is a photo of a family harvesting rice and hanging it to dry before processing. 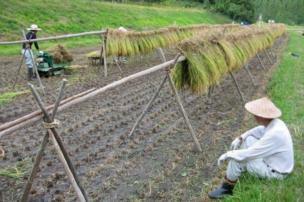 It was taken in a village outside of Takayama." 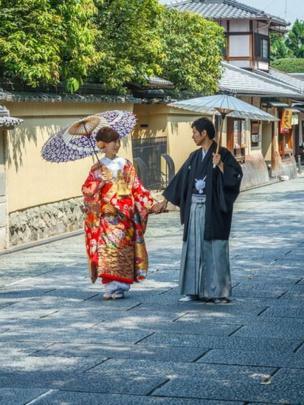 Ian Lockett: "A young Japanese couple on their wedding photo shoot dressed in traditional kimonos in Gion Kyoto."